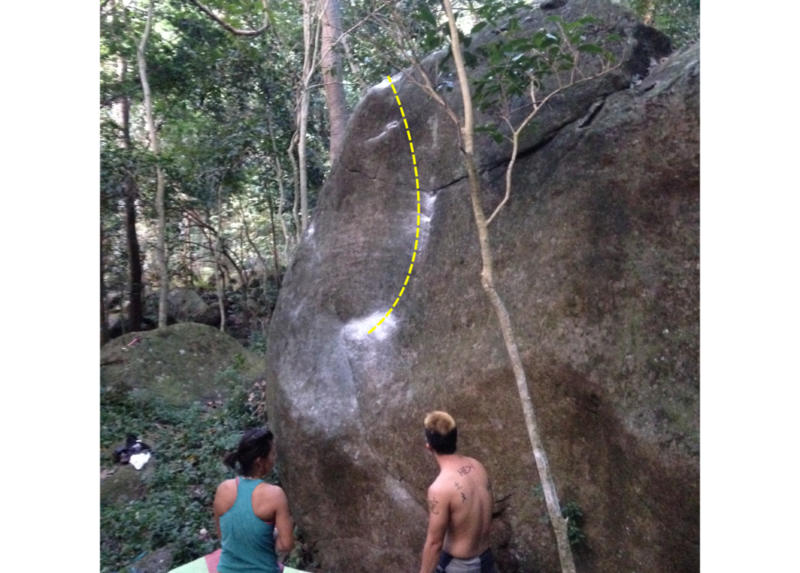 The lone problem (so far) on the Snail boulder. Start on a long flat, full-pad rail and lock off right to a greasy three-crimp. Step precariously up the face and reach up high for an obvious incut in the face of the smooth rock. Match both hands here, then up to the sloping lip and mantel over. Top out needs cleaning.